We at Drooble are BFF with Hipster Pug. Back in October 2018 we interviewed Tom Wa – the man behind the project. We also recently caught up with him about our new review service and the good stuff about it (watch here) so, as usual, let us tell you about his latest offering ‘MoonQuake’. Opened by the beautiful, yet brief ‘Prelude’ this 13-tracker carries everything we love about Hipster Pug. Beautifully written music, that doesn’t take itself too seriously but offers amazing atmosphere, warm beats, dreamy melodies and heart melting bass lines. 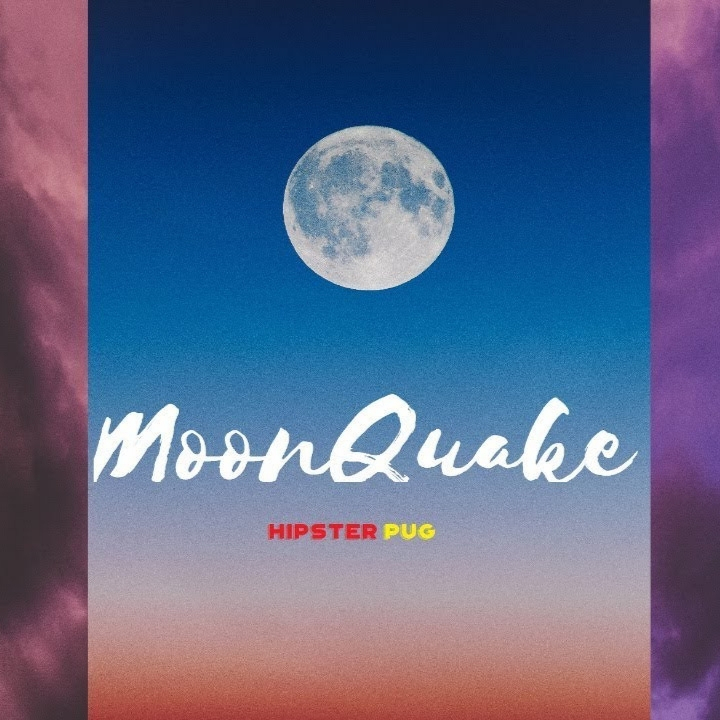 Like always Hipster Pug rocks solid production that not only does justice to the music but adds up to the specifically laid back and chilled out atmosphere of the project without being too lo-fi or too polished. And while tracks like ‘Three’, ‘Carpe Diem’ or ‘The Long Walk’ carry the signature Tom Wa post-hip-hop vibe, pieces like the oriental ‘Mind Journey’ or the heavy on ambient ‘Enlighten’ or self-titled ‘Moonquake’ add something new to the sound of Hipster Pug. To sum it up, Tom Wa delivers once again. One of the most prolific and dedicated artists here on Drooble who not only stands up to his legacy but once again manages to surprise us and what matters the most, offer an album that will not only inspire you but will simply make you feel good. Keep it up, Hipster Pug!